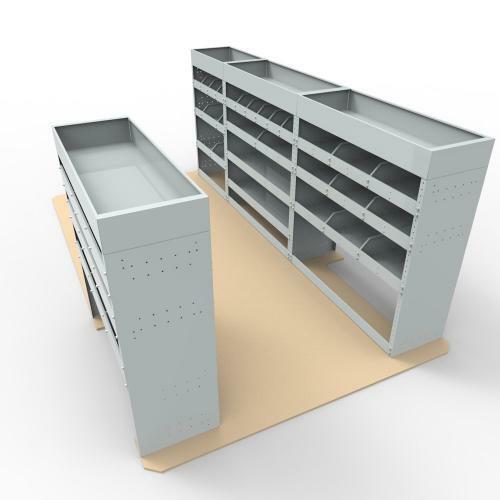 The 3 units (a SBR6, SBR10 and SBR6) have a combined length 2810mm wide x 360mm deep x 1130mm high, This package consists of three units that join together, each of the units has a top tray, 3 shelves that are adjustable up and down to give clearances that best suit your needs. 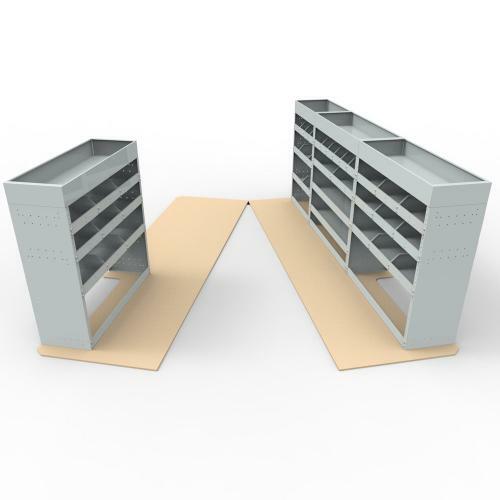 A total of 12 dividers are included, these can be position to suit or can be removed altogether. The other SBR5 unit can be fitted to the passenger side of the van. 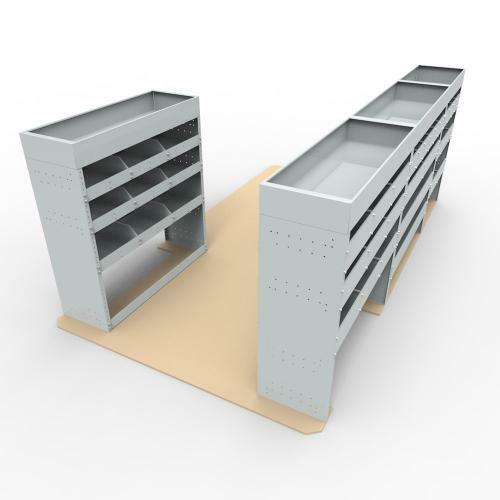 RACK SBR10 - The unit is 1060mm wide x 360mm deep x 1130mm high, it includes A top tray, 4 shelves and 6 dividers. The shelves can be adjusted on 30mm centres to give the clearance that suits what you are carrying. 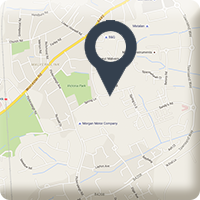 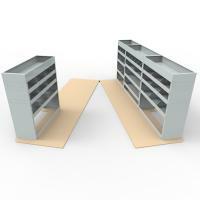 The dividers can also be repositioned or removed to suit your needs.